Determining the size of a problem is a critical step to being able to find a solution. 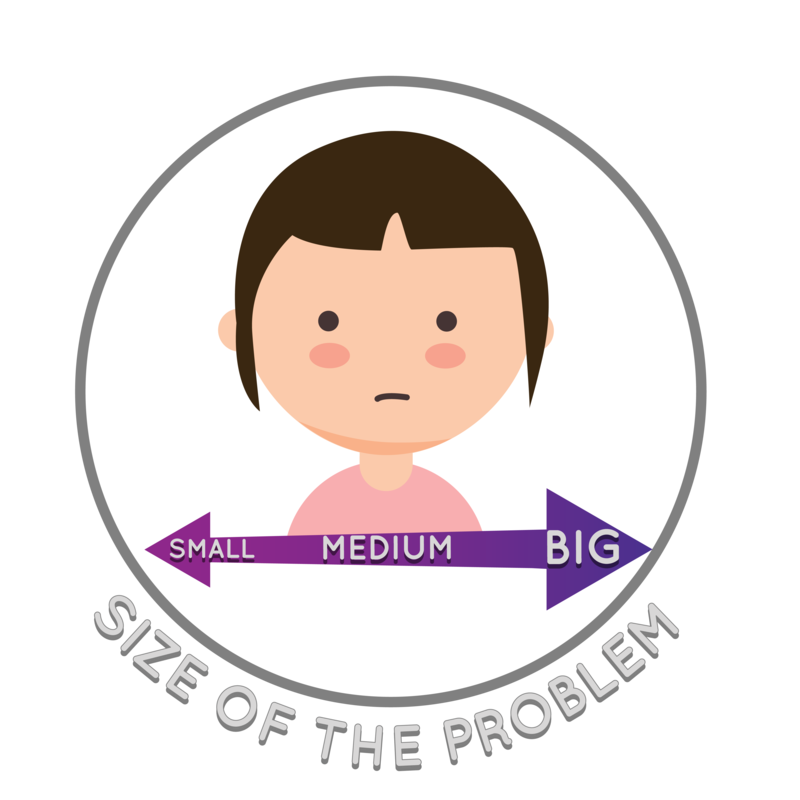 Students can use our Size of the Problem Rating Scale to figure out if the problem is small-medium-big or in-between. Once students know the size, they can think about how big or small their reactions should be and if they need help or can solve the problem themselves.